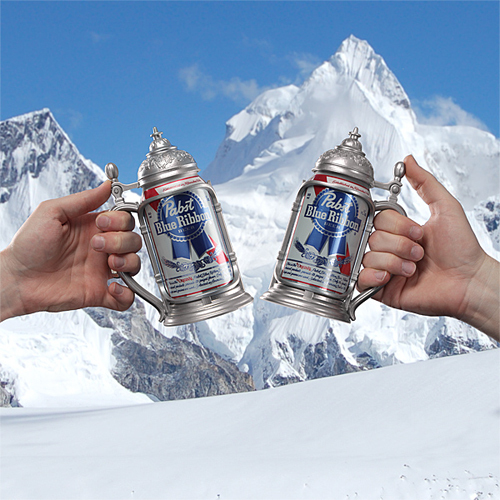 The ThinkGeek Das Can-in-Stein is (will be) designed to hold any 12 ounce can transforming it into a pewter tankard. It should be simple enough to produce, so perhaps one day soon we will all be making toasts like Oktoberfest patrons, Dark Ages knights, or Vikings and whatnot with the amusing drink accessory. However, in preparation for such day, start the bread-growing now — it is highly doubtful that the Mr. Beard Beard Machine will make it into production in time.